It seems all the rage to talk about your “morning routine.” But quite honestly, I’m totally turned off by reading about all these wellness influencers who insist that the only reason they are healthy is because of their 90-minute must-do routine each morning. I just don’t think it’s realistic for most of us to see and read, thus, we end up feeling bad about ourselves and our own situation. We have jobs (outside of wellness), kids, pets, responsibilities, deadlines and more — and all of this means we don’t have the time to devote to every single trendy wellness tidbit every single day. I often wonder to myself what kind of example these folks are trying to set, because I don’t believe you have to spend the majority of your day on self-care and wellness in order to truly be well. Although I do believe self-care and wellness are very important. But here’s the deal: Having routines is actually a really good thing. In fact, if you can set yourself up with a few healthy-based activities that you can sort’ve do on autopilot each day, you will benefit from that. It’s MUCH easier to make good choices throughout the day when you’ve built in a strong start. BUT, it doesn’t have to be over the top. That’s why I wanted to share with you exactly what I currently do. And I’ve had this routine for several months, and it may change one day — but it’s definitely working for me right now. My actual must-do morning routine is super short, and it’s super doable. Even though I don’t go to a regular 9-5 job any longer (but I did for many years, so I know how that goes), I do have a 10-month-old baby to take care of, a small online business, freelance work, a new-ish home, a dog, a husband, I teach group fitness classes and work out about six times a week. And I have a social life. Why am I saying all of this? 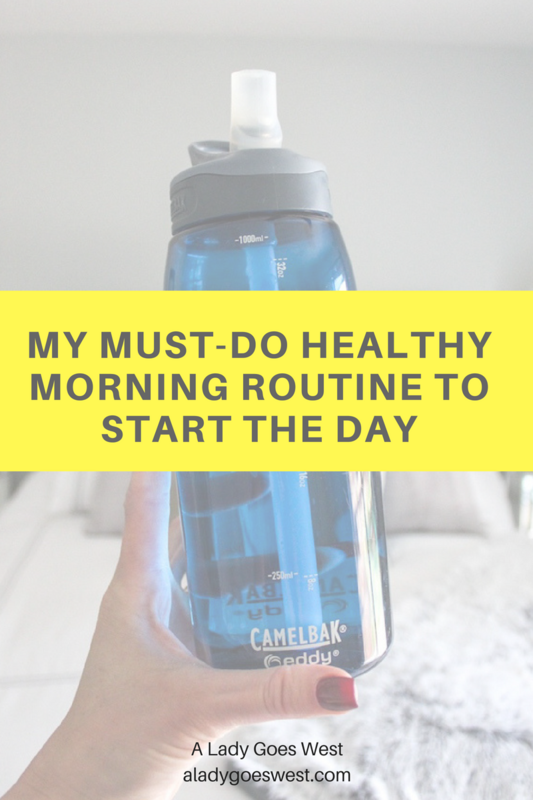 Because I just don’t have the time for all the things out there that other people are doing, because I don’t want to skimp on sleep or on any of the above activities just to fit in a longer morning routine that may or may not be necessary. Step 1: Wake up, snuggle dog and baby and get up and out of bed BEFORE touching any technology. I no longer roll over and check my phone before getting out of bed. This was a tough habit to break, and I’m so glad that I did. It’s a game-changer for starting my day on the right foot. It means I don’t let other peoples’ problems or needs via email or text get to me. I also don’t see anything on Instagram that could rattle me, because the comparison trap is a real thing. I save the emails, computer work and social media for breakfast time, a little bit later. Time invested: This morning snuggle can be anywhere from 2 to 20 minutes depending on how much time I have. Step 2: I scrape my tongue and splash water on my face. Scrape your tongue? Trust me on this one, it’s a must-do, and it literally takes less than 1 minute. I bought these pure copper tongue scrapers for Dave and for me a few months ago, and I’m so happy we’re using them. Basically, a bunch of bacteria accumulates in your mouth overnight, particularly on your tongue, so you give it a good scraping to remove that. This, in turn, gives you better breath, helps you to taste better (who doesn’t want that), and keeps your mouth healthier. In Ayurvedic medicine, it’s said that tongue scraping also removes toxins that could affect your digestion. And good digestion equals good health. I use my tongue scraper BEFORE I drink anything at all in the morning. I also use it at night before I brush my teeth. 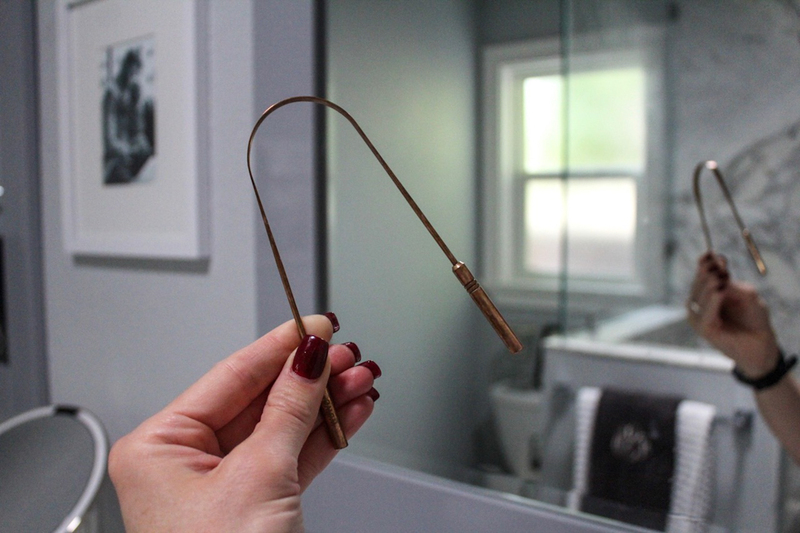 Fun fact: If you don’t want to buy a tongue scraper, you can use the side of a spoon. Scrape from the back of your tongue to the front two times, then rinse the scraper. Easy, peasy. Oh as far as washing my face — I don’t do a full wash in the morning, I merely rinse off with plain water and blot dry. Nothing too fancy. Time invested: Literally 30 seconds. Step 3: Make my bed, open the shades and soak up the sunlight. I make my bed every single day. A neat home is a productive home. Because all of my work is home-based, I have to have everything in order so that I can focus on the tasks at hand. It’s actually a proven thing that you are able to focus better on the task at hand if your surroundings are in order. And for the sunlight thing? This is a natural way to wake with the sunlight to ensure your body’s circadian rhythm is humming along, and thus, you’ll actually get to sleep better at night (here’s more on improving your sleep). Also, a little bit of sunlight wakes you up too. I often step outside to let Rudy out and just stand there for a minute and enjoy the fresh air. Step 4: Drink half a bottle of room temperature water while I let my morning tea kettle boil. My favorite podcaster, Shawn Stevenson, likes to call this morning water session an “inner” bath. This is another chance to clear out your system and all the toxins that accumulated at night and start the day on the right food of hydration. And I do this BEFORE having breakfast or drinking tea. I usually fill up a huge water bottle the night before, so there’s plenty left for me to drink in the morning, and it’s not too cold. Water is key, and the earlier in the day you can begin hydrating, the better. As a note: Sometimes I have a separate cup of lemon water, if I have lemons, and if I feel like it. I think drinking lemon water or apple cider vinegar-infused water is a great thing to start the day, but I don’t always do it. Step 5: Have breakfast, tea and sit down at the computer. I know it’s probably best to eat breakfast with no distractions, but I check my emails, check notifications and all the other things that came in through the night while I’m sipping on my tea and eating my breakfast. Breakfast gets prepped the night beforehand, and I almost always have overnight oats. What I like about overnight oats is not only that you can prep it days in advance and then it takes no work in the mornings, but also that you can add a ton of nutrients to it. I like to add all sorts of superfoods to my oats, like chia seeds, hemp seeds, maca, cacao, you name it — mixed with oats, coconut milk and a little sea salt and nut butter — and this breakfast keeps me full for a while. And my tea is a concoction I’ve been drinking for a while — green tea, stevia, coconut milk, collagen peptides, turmeric and a splash of local honey. I have to spend barely any time thinking about breakfast, because it’s been planned. This makes sure I’m not wasting time in the kitchen, nor wasting brainpower and beginning the onset of decision fatigue for the day. When you can make things routine, it’s a whole lot easier on you and on your brain. Step 6: Take my daily vitamins and roll out my feet. 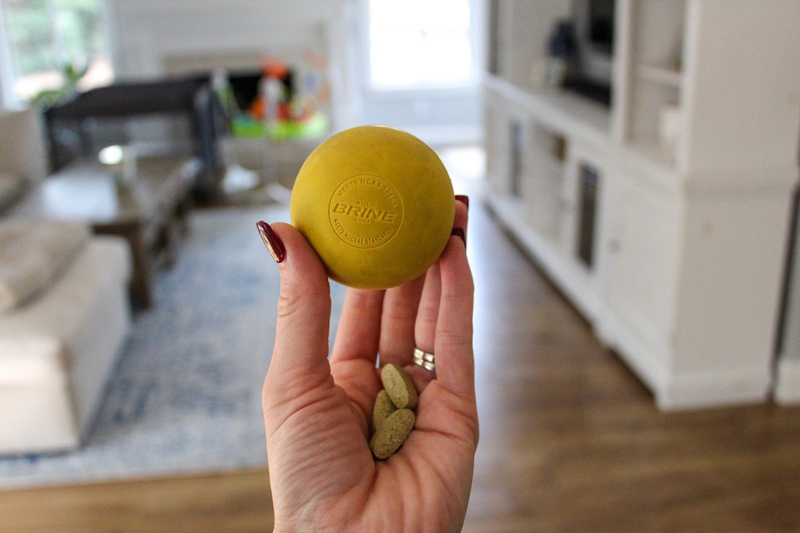 I like to take my daily vitamins after I’ve had breakfast, and I pair it with rolling my feet on a lacrosse ball, because then I always remember to do both. Right now, I only take a plant-based prenatal and sometimes fish oil or spirulina. 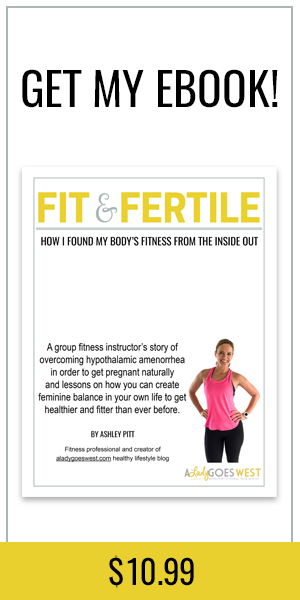 I often sample and dabble with new supplements, but nothing has stuck as necessary in my routine outside of the daily prenatal. As far as rolling the feet, it’s another way to wake up my leg muscles, body and proprioception, and it just feels good. It’s like a self-massage, and I highly recommend it to everyone. All you do is put the ball under your feet and move your feet over it with as much or as little pressure as you can handle. I usually swallow the vitamins and chug water while rolling my feet, and I look forward to this step as it concludes my morning routine, followed by brushing my teeth. And that’s my routine. Now, I know this looks like a lot written out, but if you actually add up the time, it’s not that much at all. But it does provide a little bit of structure, so that my day never begins in chaos. And if I have to be somewhere early, I still complete all these steps, and it’s not a burden. After I complete everything, it’s time for us to really start the day. Next up, I usually play with Brady, start laundry and get a tiny bit of work done, if possible, while he is distracted and then change into my workout clothes too. You may see that exercise is missing, but I do fit that in mid-morning after Brady’s first nap. I’m sure you’re wondering, okay, this sounds great, but I’m rushed and have to get in a workout and then get out the door. How should you do it? If I were you and I were a morning exerciser (good for you, it’s the best time to work out and I used to be religious about it before Brady and when I worked in an office and here’s why) I’d wake up, do a quick snuggle with whoever is around (pet, stuffed animal, baby, significant other) if you can, open the shades, make your bed, scrap your tongue, chug water and then change into workout clothes and hit the gym or do your home workout. It’s really not that many extra steps before getting your sweat on. Then, once your workout is complete, you can continue the hydration process, shower, and move into breakfast, commuting and then vitamins and rolling of the feet once you get to work. It’s totally socially acceptable to remove your shoes under your standing desk and get those feet rolling. I promise, because I used to do it every single day in the corporate world. While my morning routine works for me, it may not work for you. You have to take a look at your life and your schedule and see what is realistic. If you don’t like to eat in the morning, then maybe a big cup of collagen coffee is all you need until later, in which case you can remove that step. What you really want to focus on is having a few very short things that you do automatically without much brainpower, which set you up for healthy success. It’s a proven fact that starting the day on a good note helps you to make smarter choices all day. Good luck and good day to you! What’s one thing that you can’t live without in the morning? Thanks for this post, Ashley! It’s very helpful to know your non-negotiables and it’s also nice to hear that it’s ok if we aren’t following absolutely every single health trend out there. I think I may invest in a tongue scraper! If it can improve digestion, I’m all in. Hi Court! I know, I know — there’s SO many things that people are doing and saying we have to do, but it’s just not all that realistic. I could totally see you as a good candidate for tongue scraping! Let me know if you do heheh! Happy Monday to you too! Tell me more about tongue scraping, do you wash out your mouth after? Do you brush your teeth at the same time? Hi Sabrina! I’m sure everyone does it differently, but I just scrap it a couple of times without rinsing. Then, I drink a bunch of water and have breakfast and don’t brush my teeth until after that. It sounds gross, but it’s really not at all hehehe. Does that help? I started doing it after/with brushing my teeth. When I tried first thing in the morning, it was hitting my gag reflex. May try again after reading how you do it! Hi Sabrina! So exciting you are trying the tongue scraping. So if you are gagging, maybe you are going to far back on your tongue? It doesn’t have to be all the way back! Keep up with trying though. Thanks, lady! I like this! You keep it real and like you said some of the other morning routines just don’t work. I get up early to get my workouts in and usually rush to shower, look presentable, and get to work. I don’t have time to contemplate the universe lol. The tongue scrapper looks cool though so I may have to snag one! Virjinia @ With Purpose and Kindness recently posted…Runner Safety Tips! Hi Virjinia — that’s pretty funny — no time to contemplate the universe hehehe. I would love to meditate, I just don’t see that in my near future, and I totally feel you on just trying to get in your workout before work — good for you! Finally, a realistic morning! 🙂 I also snuggle my pup first thing in the morning then take him outside and drink a lot of water. I’ve been trying to get in a few minutes of yoga every morning (usually just some sun salutations and warriors to wake up the body) and then I walk the dog for about 20 minutes. After the pup walk, I make breakfast while checking work emails and what not and work while eating at the table. Then I get dressed, put my lunch in the box, and kiss the husband and pup goodbye. I’ve found that getting as much ready the night before (laying out my gym clothes and normal clothes outfits for the next day) helps so much! Morning brain is real! Hi Jessie! Okay, I’m loving the fact that you do sun salutations — I want to. I need to try to do them a few times a week in the morning, because it feels so good to get mobile like that. I agree that setting your things out the night before is helpful too for sureeeee. Keep up the great work, lady! 🙂 Snuggle the pup!! Thanks for the realistic morning routine. I have always been a morning person and I like having my morning routine. While it has changed over the years, the one must for me is always breakfast. I don’t like to talk before I have my breakfast. Some mornings I go to the gym at 5am. When I do I sleep in my workout top and have my leggings next to my bed for morning. I make a smoothie the night before and just drink that in the morning and head out the door. Other mornings I get a little extra sleep and then just have a nice morning at home, making breakfast, maybe watching part of a show or some youtube videos and then getting dressed and ready. I usually get up about an hour before I need to leave for work so I have time to lounge and wake up. Hi Alicia! I used to sleep in my workout clothes in college hahaha! Love that — very smart to make sure you are ready go go in the morning. And I also think it’s good to build in some buffer time so you aren’t super rushed. I’m a morning person too, lady! Thanks for saying hi and sharing your routine. 🙂 Keep up the great work! Oh I love this!! I actually never really thought about my morning routine until hearing some wellness podcasts about it. Mine is always super quick but drinking water is always the first thing on my list! Hi Marielle! 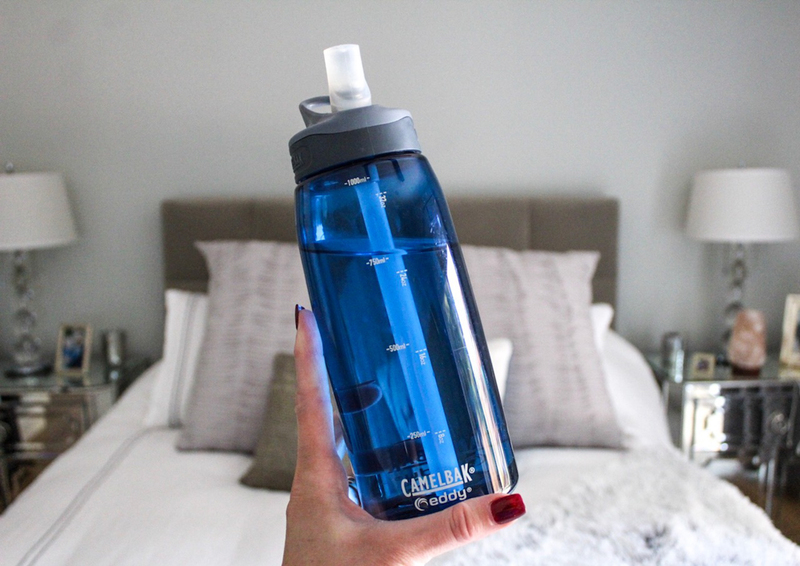 If you’re drinking water and feeling good in the morning, then your routine is working for you, girl! 🙂 But yes, seems like lots of podcasts are talking about morning routines these days! Wonderful post! I love how this post reiterates the importance of doing what’s best for you! Everyone has different schedules so I love reading morning routine posts to get inspired. Morning snuggles is something I want to start adding to my morning routine. Hi Karina! 🙂 hehehe morning snuggles are the BEST! 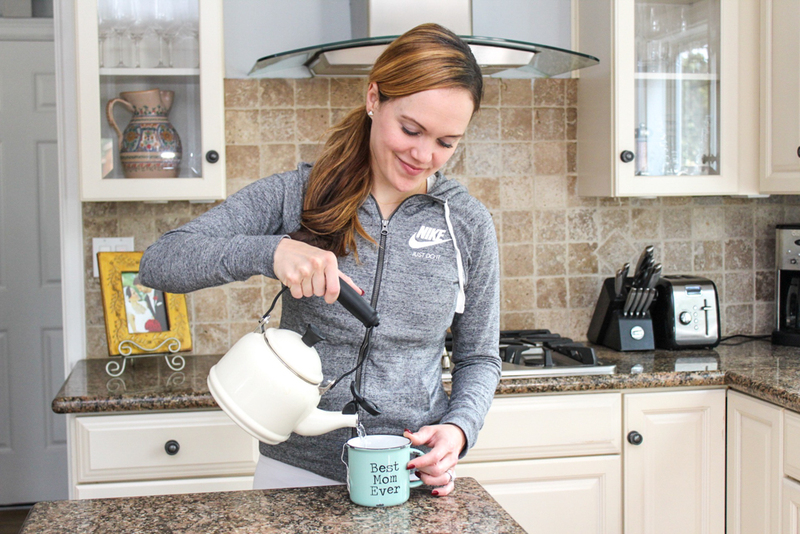 I hope you create a morning routine that works for you, lady!